Though death is universal, how we respond to it depends on when and where we live. Dying and grieving continually evolve: new preparations for dying, new kinds of funerals, new ways of handling grief and new ways to memorialise are developing all the time. Bringing 25 years of research and teaching in the sociology of death and dying to this important book, Tony Walter engThough death is universal, how we respond to it depends on when and where we live. Dying and grieving continually evolve: new preparations for dying, new kinds of funerals, new ways of handling grief and new ways to memorialise are developing all the time. 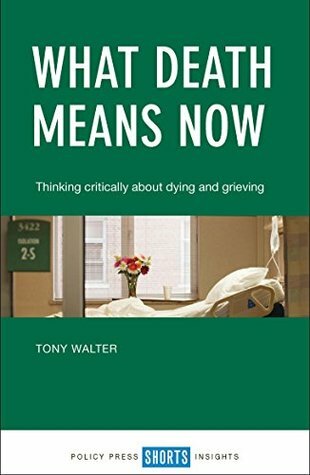 Bringing 25 years of research and teaching in the sociology of death and dying to this important book, Tony Walter engages critically with key questions such as: should we talk about death more and plan in advance? How effective is this as more people suffer frailty and dementia? How do physical migration and digital connection affect place-bound deathbeds, funerals and graves? Is the traditional funeral still relevant? Can burial and cremation be ecological? And how should we grieve: quietly, openly, or online?